CCLA is one of the UK’s largest charity fund managers, managing investments for charities, religious organisations and the public sector. 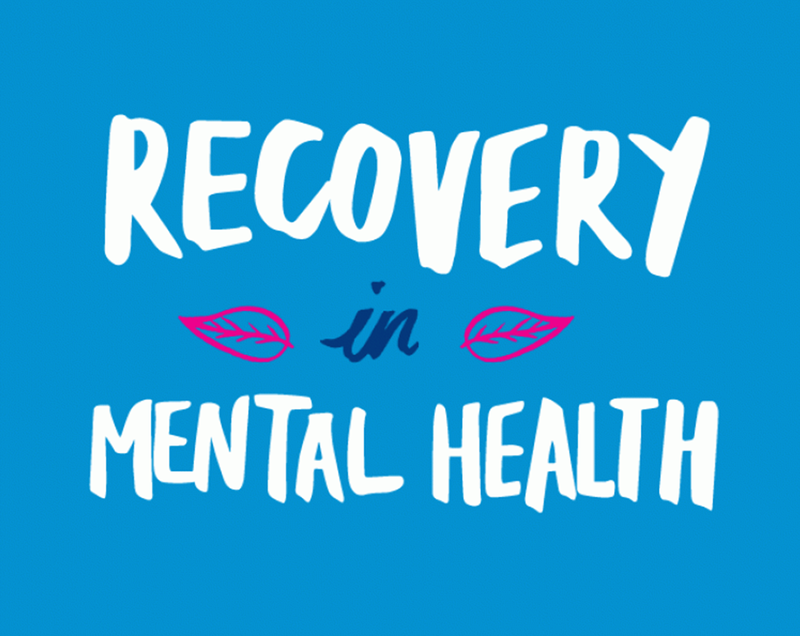 As a charity fund manager, CCLA arranges and attends a variety of events, meeting with clients and potential clients in the sector. This year, the RHS Hampton Court Palace Flower Show was added to the events list, to showcase CCLA’s work and its love of English gardens. 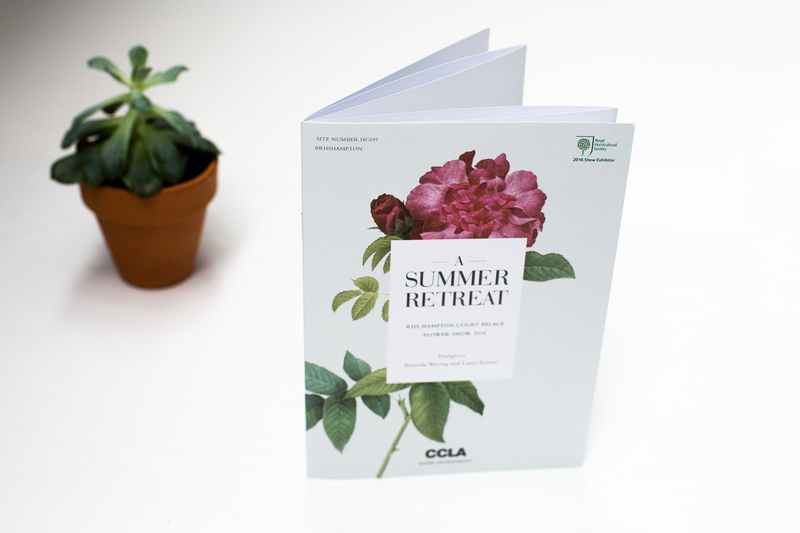 To communicate the idea and aims of the garden as well as CCLA’s involvement, we were asked to produce a brochure that would be handed out to visitors. 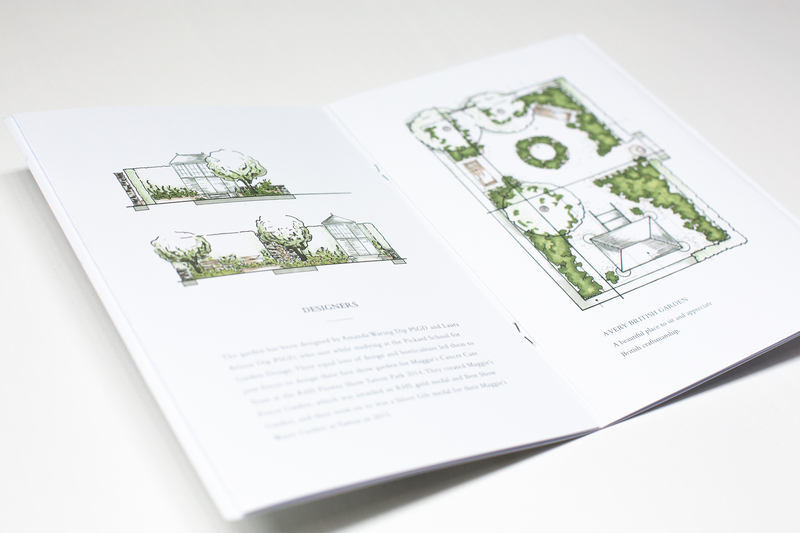 Our design team worked closely with CCLA and the garden designers to develop a style of illustrations that worked well with the English garden theme of the garden. 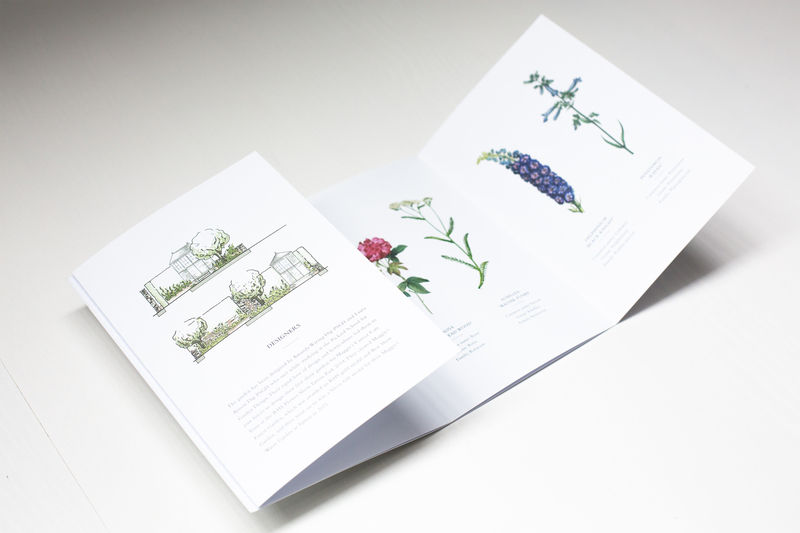 As the garden was inspired by the ethos of the Arts and Crafts movement we wanted to ensure the brochure had a similar feel and showcased key aspects of the garden and its sustainability approach. We used soft colours, an uncoated finish and a format that could be folded out for increased engagement and to showcase the beutiful flowers in the best possible way. 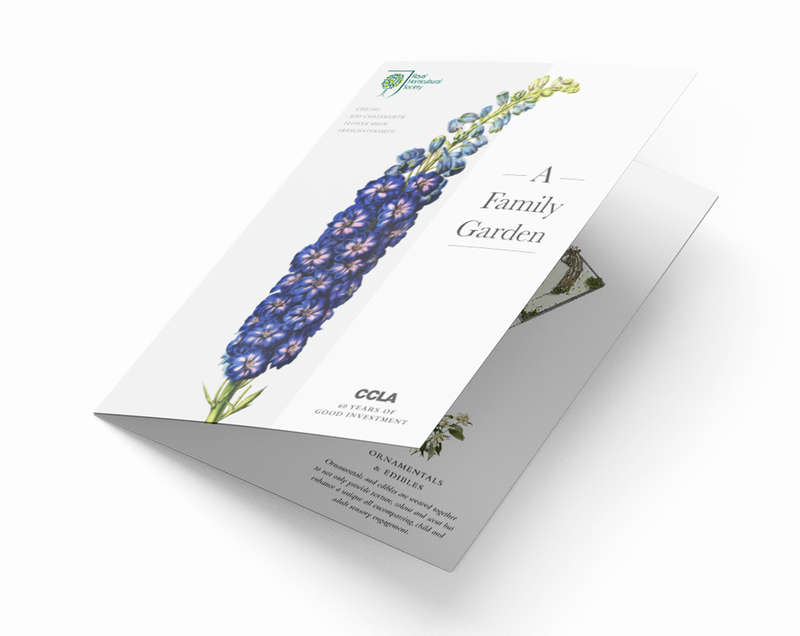 Our editorial team also worked with the garden designers to put together informative copy that would explain as well as inspire, and a subtle mention of CCLA was added to the back of the brochure. 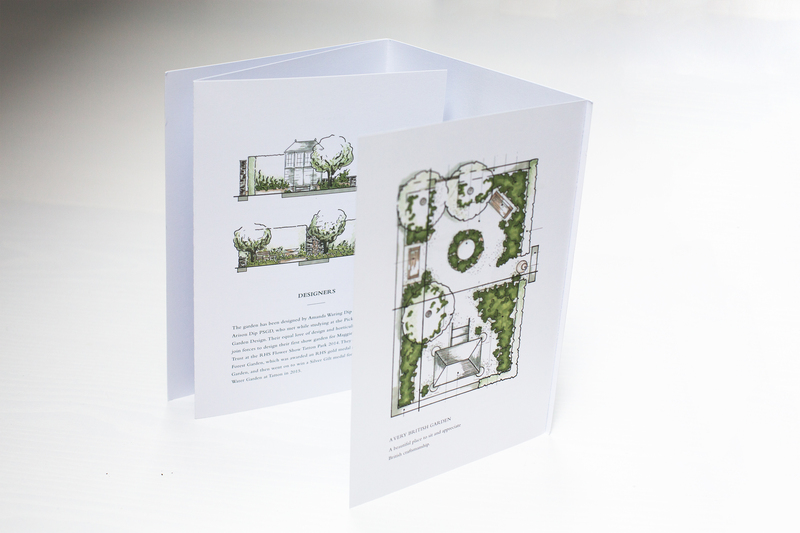 The brochure was very well received, with an additional number of copies printed as they ran out during the popular event, and the garden ended up winning a Gold Medal at the Flower Show.